Guangxiao Temple, also known as Bright Filial Temple, is a magnificant and ancient temple, built as the mansion for Prince Zhao Jiande of the Nanyue Kingdom during the Western Han Dynasty (206BC - 24AD). 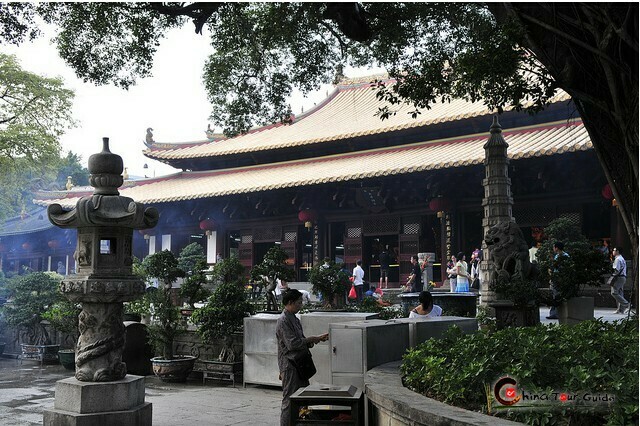 There is a saying in Guangzhou that "Guangxiao Temple comes earlier than Guangzhou". 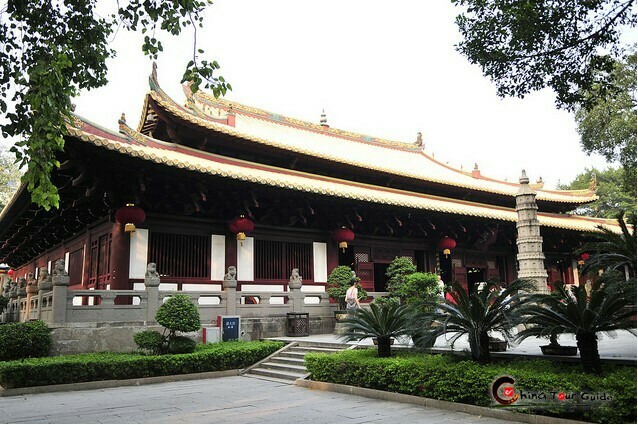 With a history of over 1,600 years, the temple is reputed as the oldest and the largest temple of Buddhism in Guangzhou. Lots of eminent monks in and abroad propagandized in the temple, including /strong>Xuanzang, the eminent monk in Tang Dynasty (618A.D- 907A.D) and Bodhidharma, the 28th patriarch of Buddhism. Huineng, the 6th patriarch of Chinese Zen Buddhism, was ordainment under the bodhi tree in the temple 1333 years ago. 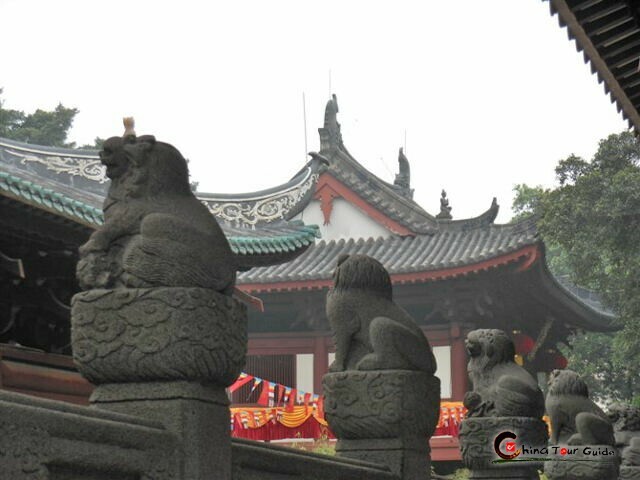 The majesty temple and grandeur palace make Guangxiao temple become a treasure of Chinese architecture. 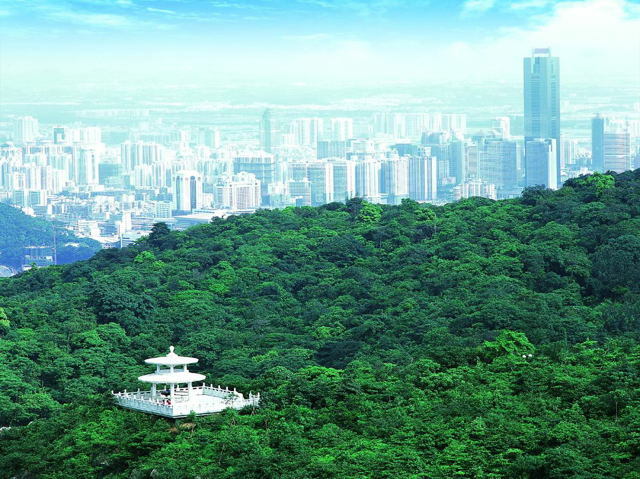 The cultural relics in the temple are significant in the history of Chinese Buddhism, culture, architecture in Guangdong. Originated in India, Buddhism's spreading to China is through three ways, one of which is shipping from Guangzhou to India. 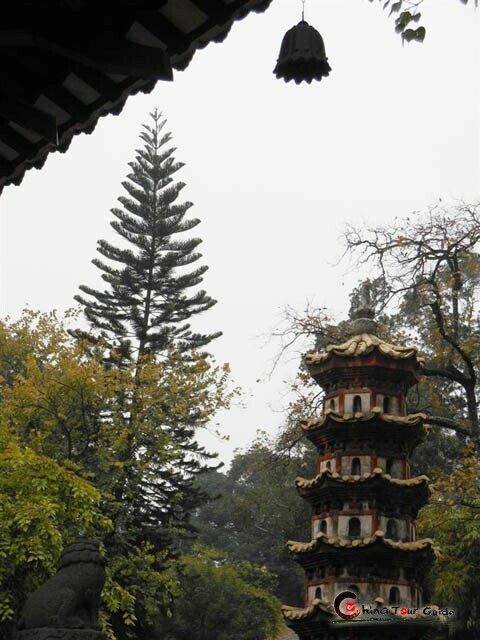 The third road made use of season wind and Guangxiao Temple is located on the third way. 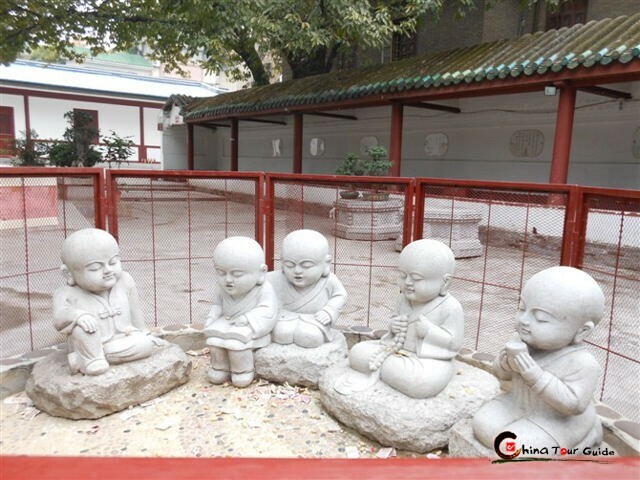 Generally the eminent monks who passed Guangzhou would stay in Guangxiao Temple. The temple also has close relationship with Zen which is the main sect of Chinese Buddhism.Zen is a school of Mahāyāna Buddhism, translated from the Chinese word Chán, which means "meditation". Zen School focuses on inherent enlightenment, sudden awakening, the wisdom of emptiness (shunyata), and meditation. Its emphasis was on realization through direct experience rather than study of sutras. At the end of Liu Song of the Southern dynasties(420-479), Bodhidharma came to Guangzhou from India and propagandized Zen in the temple. After that he went to Shaolin temple on Song Mountain and set up Zen in China from which he was honored as the "founder of Chinese Zen". Bodhidharma excavated a well to wash the earthen bowl in the temple which is still well preserved. There were other India eminent monks who translated Buddhism and propagandized here. Huineng, the 6th patriarch of Chinese Zen Buddhism, was ordainment under the bodhi tree in the temple. With magnificent buildings, Guangxiao Temple is reputed as the top of Buddhism temples in South China. 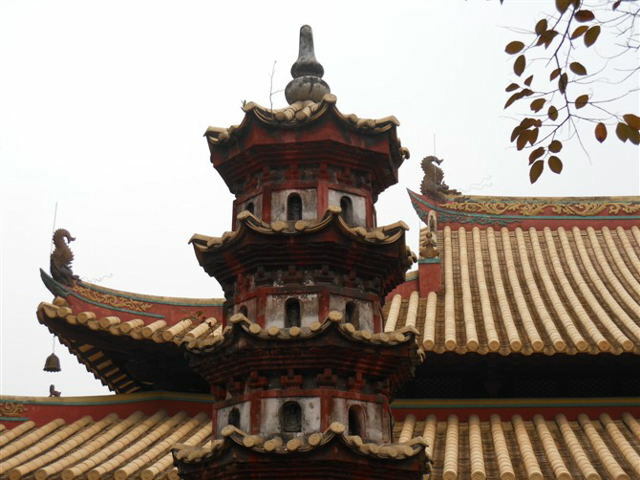 It not only occupies an important position in the history of Buddhism, but also initiates the unique feature of South China's architectures. Mahavira hall can be seen by entering the temple. 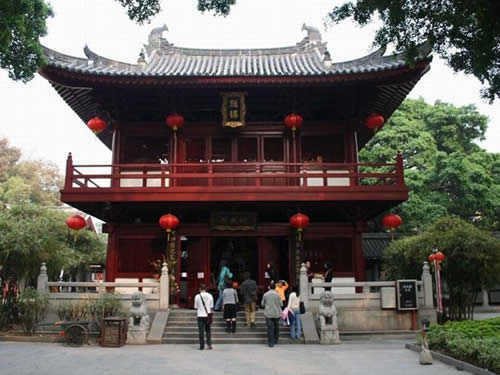 It is the main building of Guangxiao temple with longest history and largest dimension. Built by Dharnayas from Kashmir in the year of 401, the Mahavira hall is one of the well-preserved ancient architectures. The crossbeam is supported by shuttle-shaped poles and the roof is supported by arches under the brim; the hall is built on the hathpace of the stone base. With typical features of South China architecture, the special structure of the Mahavira hall was followed by lots of temples in the south. Although the hall has been rebuilt for many times, it still keeps the features of the architectures in Tang Dynasty(618A.D- 907A.D) and Song Dynasty (960A.D—1279A.D). As it influences the structures of South China's temples in a long period, it is attached as an important construction in the preserved old buildings. One of the most famous stories in Buddhism, "Not the Wind, Not the Flag"is about Huineng- the 6th patriarch of Chinese Zen Buddhism in Guangxiao Temple. Huineng had secluded for 15 years after being titled the 6th patriarch of Zen Buddhism. 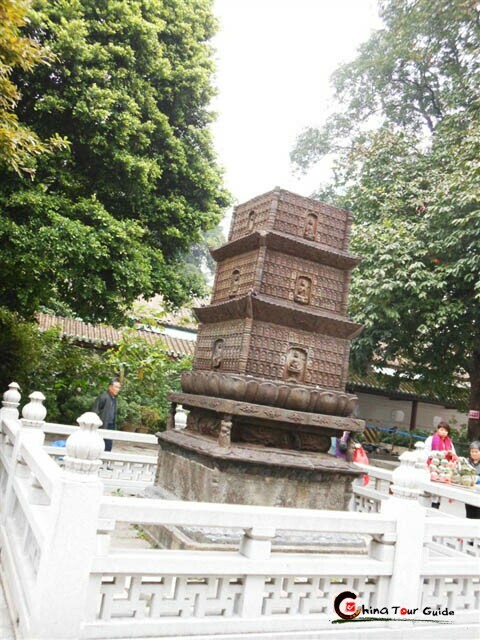 One day, Huineng came to Canton and passed by Guangxiao Temple. He heard two monks arguing about the temple flag waving in the wind. One said, "The flag moves." The other said, "The wind moves." They argued back and forth but could not agree. Huineng said, "Gentlemen! It is not the wind that moves; it is not the flag that moves; it is your mind that moves." The two monks were struck with awe. 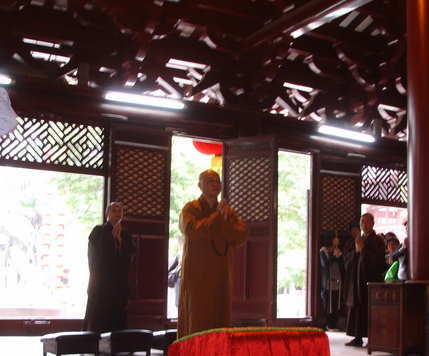 The monks in the temple recognized Huineng's insight and guessed that he was the patriarch of Buddhism. 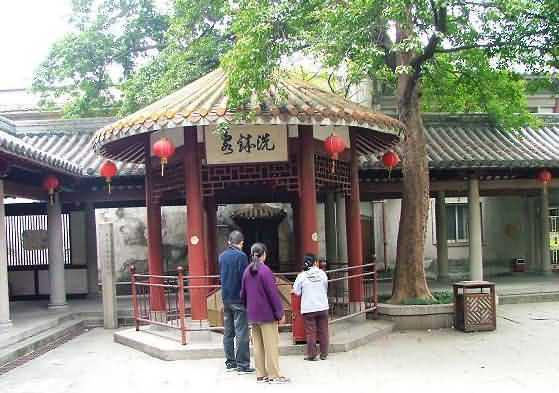 The Liuzu Hall was built for the worship of Buddhism in memory of Huineng. Yifa Tower, located in front of the Liuzu Hall, is the main building and the unique cenotaph of the temple. 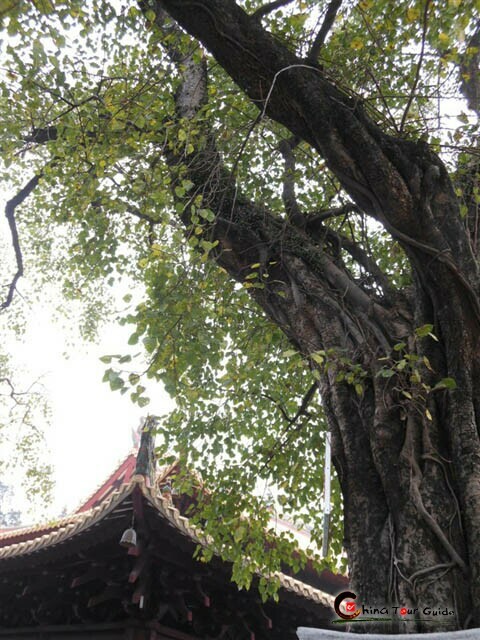 According to the history, Huineng's hair was buried here after he was ordainment under the bodhi tree. The tower is in eight-square shape with the height of 7.8 meters (25.6ft). It has 8 statues of Buddha on each of the 7 stories. 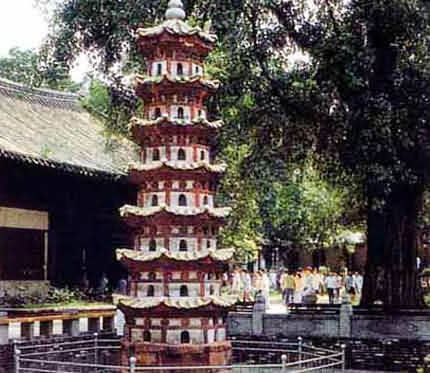 Yifa Tower was considered to be rebuilt in Nansong Dynast(1127A.D—1279A.D), 9th year of Chongzhen (1636), the year of 1954 and 1977. 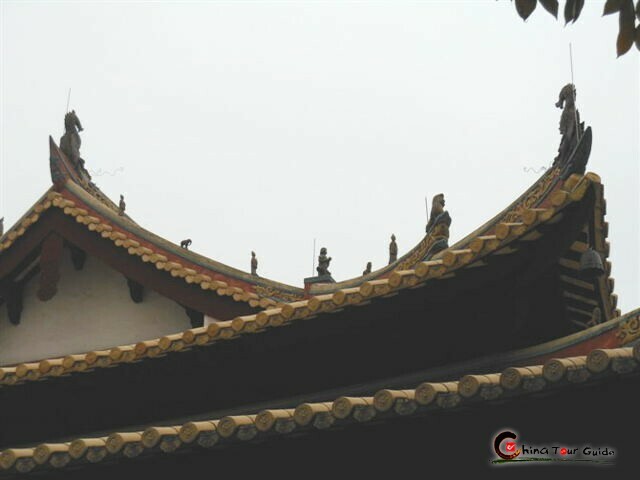 Behind the huge Mahavira hall there are twin iron pagodas. 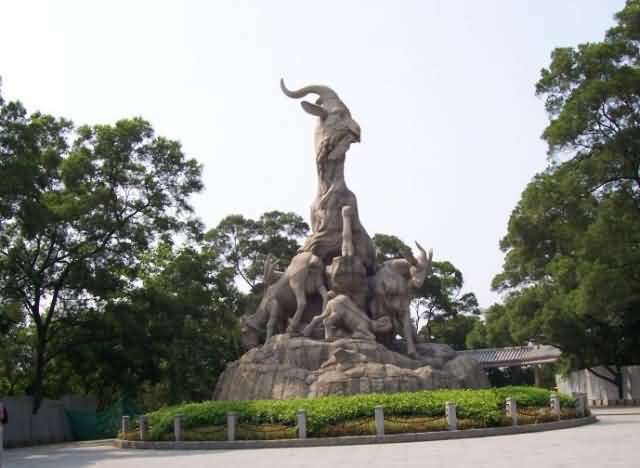 They are known as the oldest biggest iron pagodas in existence in China with the one on the east side well maintained. 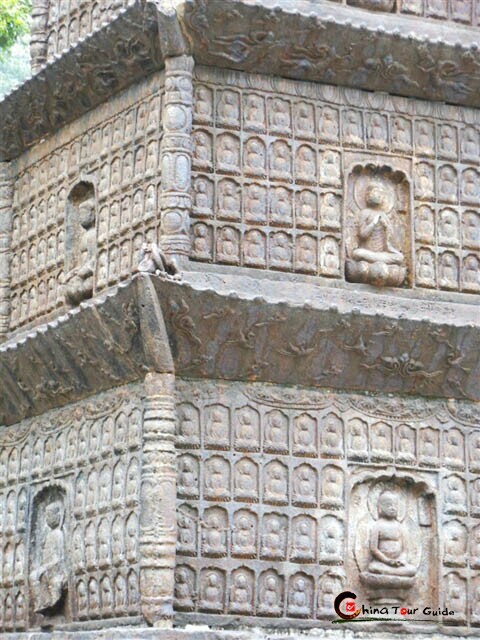 Examined closely, the Eastern Iron Pagoda is a marvelous mass carved Buddha statues, making it hard to believe that so sophisticated a pagoda should be completed in as early as the year 967, period of Southern Han State(917-971).